SALE! 25%Off. FIVE (5) left at this price. Quantity to be updated on website. 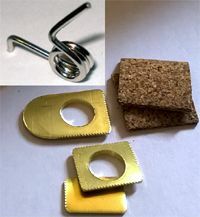 Contains the trigger spring and shim kit. Save when you buy both! This kit promotes accuracy and increases your shooting enjoyment.